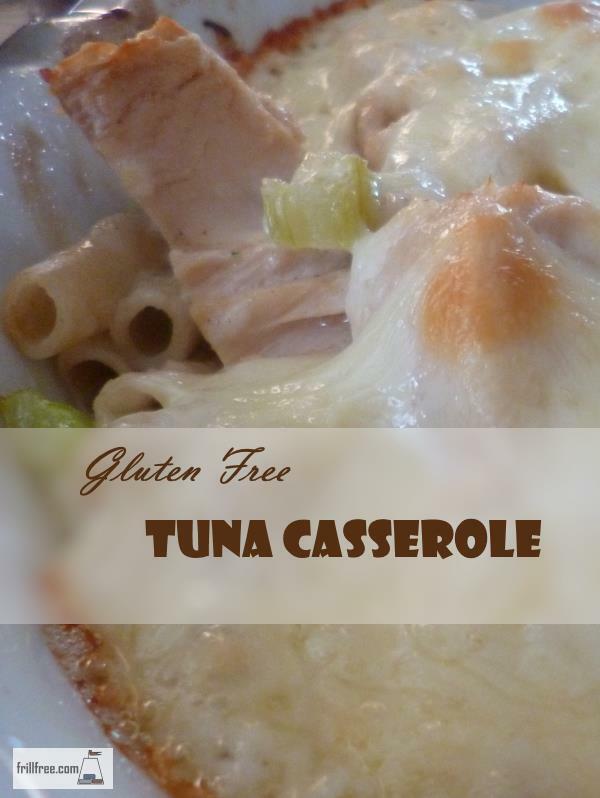 In Grade 9 Home Ec class we made tuna casserole - it's been a favorite ever since. However, now that I'm wheat intolerant it required a change in the recipe - or several changes. Now I think I've pretty well duplicated it without any wheat that causes me such terrible issues. Now that I have to think outside the box when I make meals, this is one that (I kid you not) I make for breakfast. What's not to like? 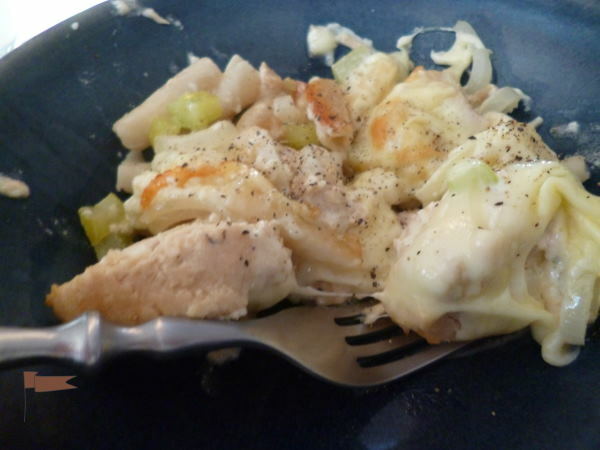 It's got brain food, some carbs, vegetables and cheese. 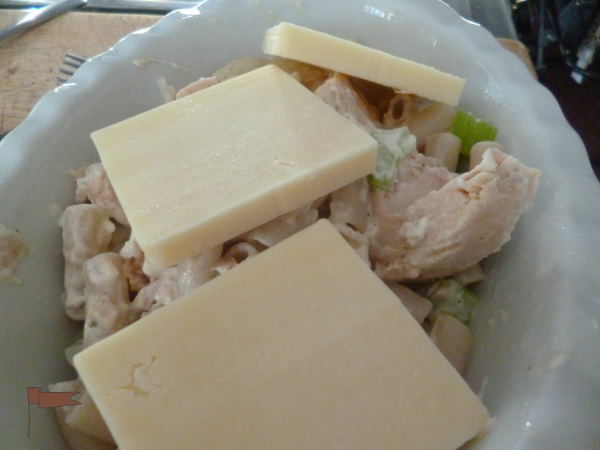 Chopped celery and onion are given a quick shot in the microwave with a tiny amount of butter or margarine (2 minutes on high) while the noodles are simmering. 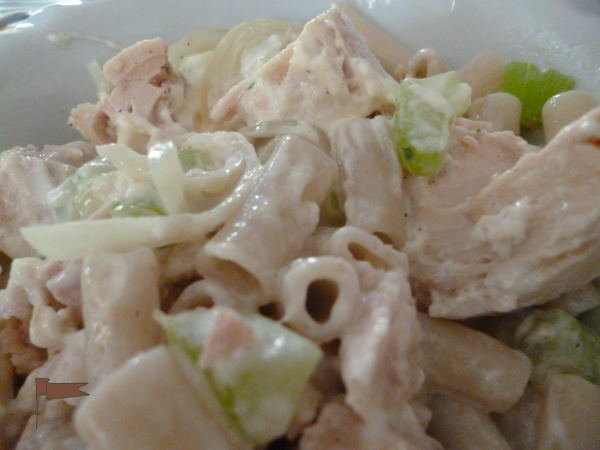 I use Tinkyada rice noodles, which are an excellent substitute for penne noodles. 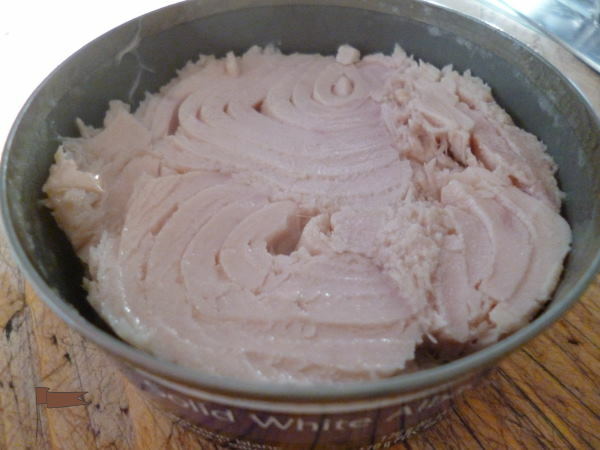 I really l like solid Albacore tuna, packed in water. Sometimes you have to really hunt for this so stock up when it's on sale at your grocery store. Gently break up the tuna, on top of the vegetables, and add some of my secret ingredient, Club House Country Herb salad dressing mix. 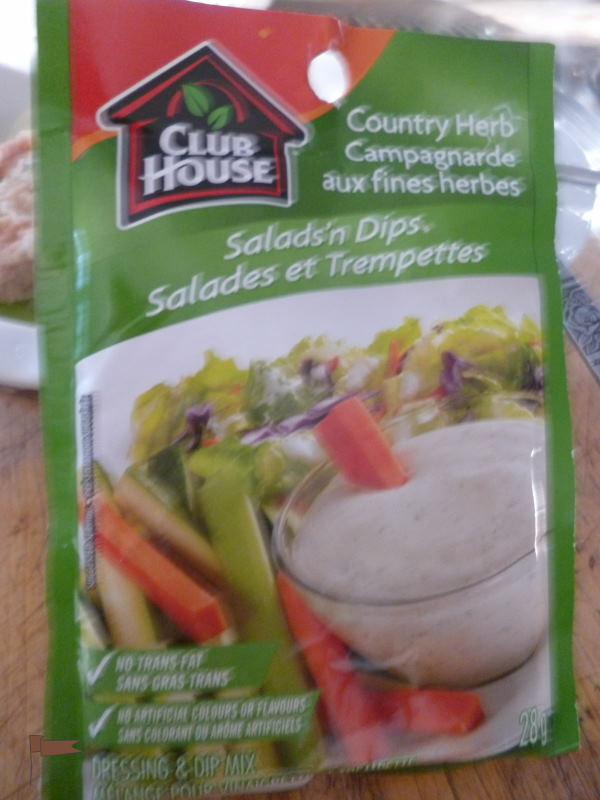 If you can't find this, experiment with other dry mixes - they are not all created equal; for instance, you can't substitute Club House Ranch Style mix, not the same. 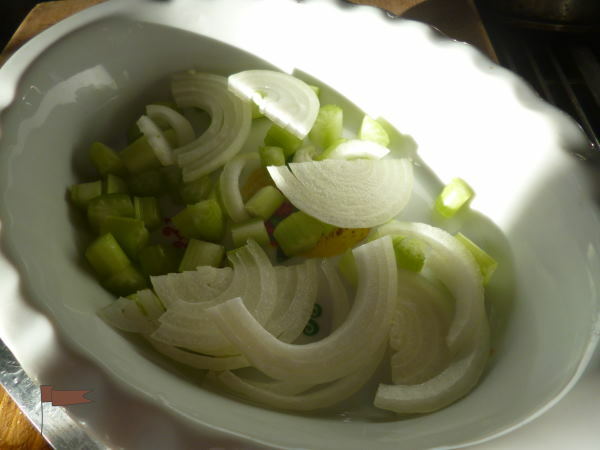 Add two teaspoons of prepared mayonaise and a few drops of apple cider vinegar. When the noodles are cooked to the consistency you like (not too mushy) gently fold them in to the vegetables and tuna. I can't stress that enough - this is not meant to be a homogenous mess, you should be able to tell the individual ingredients. 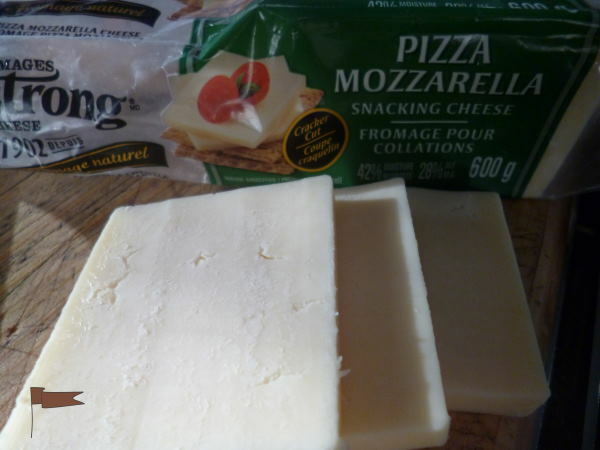 My favorite Mozzerella cheese is this brand, which slices easily and isn't too rubbery, and melts nicely too. Top with thick slices of mozzerella cheese - I use this instead of cheddar because it doesn't add any extra oil which makes your dish greasy. Cook for 20 minutes in a 400 degree ore-heated oven. 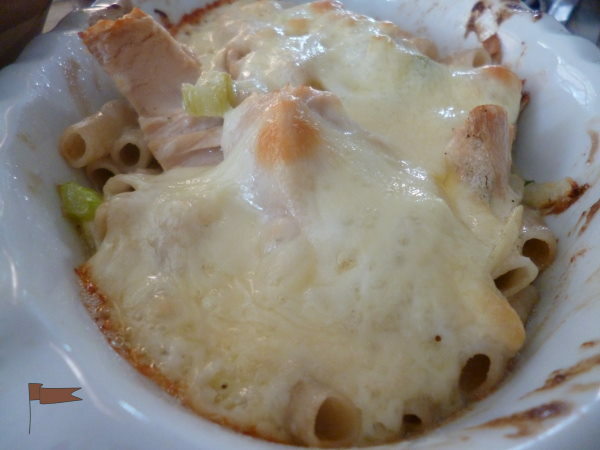 Enjoy the crispness of the celery and the piquant flavor of this casserole - even if you don't require your diet to be gluten free, you could adapt this to your regular wheat noodles by choice. A generous sprinkling of freshly ground black pepper - enjoy! Serves one hardworking hungry person, or two for lunch with a salad. Updated information; more recently, I've also cut dairy out of my diet too, so now I just omit the cheese. Too bad! I love cheese!